Inspiring, empowering, and energizing. Those are some of the words MNA members used to describe Day on the Hill 2015. About 150 RNs from throughout Minnesota stood up for their patients, their profession, and their communities at the February 9-10 event in St. Paul. Members sat down with their legislators to share their experiences as bedside RNs to show why a Safe Patient Standard and workplace violence prevention legislation are needed. They told their personal stories of instances where patient safety was threatened because of understaffing; and times when they were subjected to workplace violence themselves. They crowded into a room at the Minnesota Department of Health to deliver more than 2,000 ‘valentines’ – Concern for Safe Staffing Forms filed in 2014, documenting situations where patients were at risk due to low staffing levels. Dozens of RNs lined up to share their stories at an emotional meeting with Health Commissioner Ed Ehlinger. Some teared up telling their stories and as they identified with other nurses’ concerns. Nurses document unsafe staffing in their hospitals by filling out Concern for Safe Staffing Forms and sharing them with their supervisors and the Minnesota Nurses Association. Commissioner Ehlinger promised that he and his staff would read the forms and use them to inform their policy discussions. He promised to fight for safe patient staffing and workplace violence prevention legislation. In response to recent attacks on nurses’ safety and their ability to provide safe, quality care for their patients, MNA members are speaking to legislators about safe patient staffing levels and workplace safety in 2015. 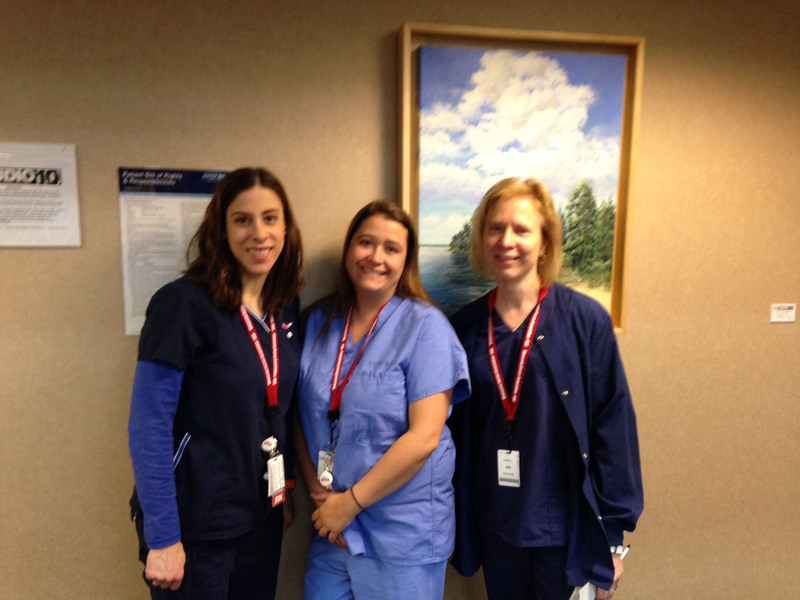 Nurses visited the Capitol January 28 to speak to legislators about the need for a Safe Patient Standard. They told lawmakers that patients are at risk when nurses have too many to care for at one time, and urged legislators to create a standard for nurse staffing that protects patient safety. Nurses from North Memorial Medical Center “adopted” the day to talk specifically about the serious staffing issues facing the nurses and patients there. North Memorial management has unilaterally implemented new staffing grids hospital-wide, which add to the already large assignments of Registered Nurses as well as ancillary staff. North Memorial RNs told legislators stories about how the new grids are limiting the care they’re able to provide patients and how concerned they are about their patients’ welfare. 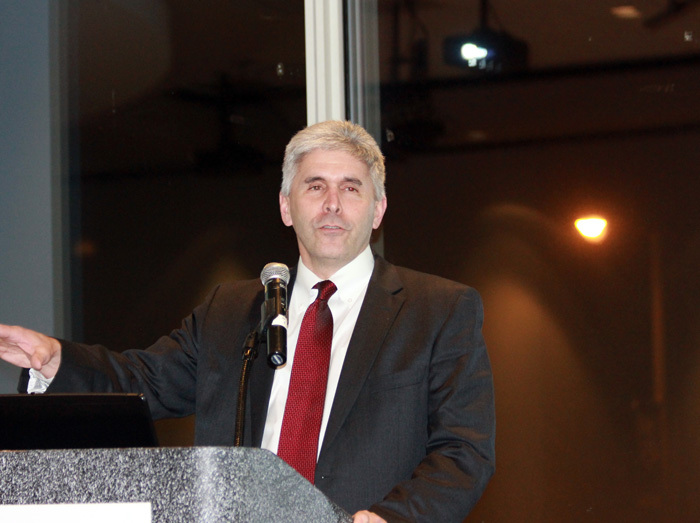 Rep. Joe Atkins (DFL-Inver Grove Heights) told the nurses how influential their advocacy is on legislators. Atkins said he and his fellow state representatives are lobbied on hundreds of issues, which makes it difficult to keep up, but they start to take notice when they see numerous emails about the same issue. What really breaks through the noise, he said, is when constituents visit them in person and they can put a real name and face to a story. Atkins encouraged nurses to continue coming to the Capitol to advocate for their patients and profession as often as possible. MNA’s February 9-10 Nurses Day on the Hill is a great opportunity to learn about MNA’s legislative priorities and how to advocate for them. We’ll give you training on how to navigate the political process and will make appointments for you to meet your legislators. For more information or to sign up, visit the Day on the Hill page on MNA’s website. We will continue taking small groups of nurses to the Capitol on Wednesdays during the legislative session. The next opportunities are Feb. 4 and 18. We will meet at 10 a.m. at the MNA office in St. Paul for a briefing and then head to the Capitol to talk to our state representatives and senators. To sign up or to see if your hospital can “adopt” a day to meet legislators from your region, please contact Geri Katz at 651-414-2855 or email Geri.Katz@mnnurses.org. Are Minnesota Hospitals Above the Law? Patients, nurses, healthcare workers, and Minnesota citizens won a hard-fought victory in the 2013 legislative session when Governor Dayton signed into law the Staffing Plan Disclosure Act. The purpose of the Act was to increase hospital transparency and study the effects of nurse staffing on patient outcomes. Unfortunately, Minnesota hospitals have all but thumbed their nose at the state law, openly flaunting the demands of legislators and citizens alike. In order to study nurse staffing under the law, the Minnesota Department of Health convened a workgroup consisting of nurses, hospital administrators, and other key stakeholders. To limit the burden of the study on Minnesota hospitals, the workgroup agreed that study data would be requested from only a small sample of state facilities, and that smaller, critical access hospitals would be excluded. Furthermore, the workgroup agreed that the information to be requested would consist of data already collected or readily available to hospitals, further limiting any potential burden on hospitals selected for the study. Minnesota hospitals, as represented in the MDH workgroup, agreed to these limitations and study parameters. Regrettably, of 40 hospitals selected for inclusion in the legally mandated Staffing Plan Disclosure Act study, only one provided the required data. This egregious disregard for Minnesota law is unacceptable. Despite decades of robust research associating ideal nurse staffing with optimum patient outcomes and care, nurse staffing in this state is getting worse. Minnesota Nurses Association nurses self-report unsafe nurse staffing through a Concern for Safe Staffing Form, which is shared with first line supervisors and the Association. In 2014, Minnesota nurses documented 2,148 instances of unsafe staffing with the potential to substantively impact patient care. Even one such instance would be concerning—but even scarier is that the reported rate of unsafe staffing has doubled over the past three years. Minnesota hospitals are not getting safer, they’re getting worse. This level of unsafe staffing is simply unacceptable for a state seen as a leader in healthcare. In 2013, 80% of Minnesota hospitals reported preventable adverse events, representing over 96% of all Minnesota hospital beds. These events can include pressure ulcers, objects retained during surgery, completing the wrong surgery or operating on the wrong body part, medication errors, and many others. They are often referred to as “never events,” since they are so preventable that they should never occur. Unfortunately, over the past ten years, Minnesota patients experienced 2,200 preventable never events, and in 2014, Minnesota patients suffered 258 never events—99 of which resulted in death or serious disability. Proper nurse staffing is the best way to prevent such adverse events. Other studies and government agencies have found the quality of care in Minnesota hospitals is declining. Minnesota’s overall healthcare quality score fell 11 percent, according to the Agency for Healthcare Research and Quality (AHRQ), and Minnesota now ranks 15th on watchdog group Leapfrog’s Hospital Quality Safety Score, falling from top 10 status. In fact, only 30% of Minnesota hospitals received an “A” grade—down from 43% two years ago. It goes without saying, however, that every Minnesotan deserves “A” quality care. Another way to measure proper nurse staffing is through the percentage of patients who are readmitted to a hospital within 30 days of their initial hospital visit. Oftentimes, these readmissions are linked to care that nurses simply were not able to provide due to the lack of a limit on the number of patients a nurse can care for at one time. In fact, hospitals can be penalized for these readmissions, costing them more money in the long run due to unsafe staffing. In 2014, 36 Minnesota hospitals were penalized by the Center for Medicare Services for high volumes of readmissions, with an average penalty of 0.4% of all Medicare payments. Alarmingly, the average penalty has doubled in the past year, showing that hospitals are getting worse at providing safe nurse staffing. Again, as the research indicates, nursing care is instrumental to proper quality care for patients, and has been shown to reduce readmission rates. Setting a standard for the maximum number of patients a nurse must care for at one time would go a long way to reducing readmission rates and halting the slide in hospital quality of care. Sanford Bemidji Clinic is one of 36 hospitals in the state which receives Medicare readmission penalties. Sanford-Bemidji reported 2 preventable adverse events resulting in serious disability last year. Sanford-Bemidji has the dubious distinction of having the one of the highest rates of nurse-reported unsafe staffing incidents, with 188 such incidents potentially impacting patient care just last year. Indeed, according to the Leapfrog Group’s hospital safety scorecard, Sanford-Bemidji received one of the lowest safety grades in the state last year, a “C.” Average is not good enough for Minnesota hospitals. In fact, Sanford scored well below the state average in areas including treatment of collapsed lungs, serious breathing problems, and accidental cuts and tears. Sanford’s surgical safety scores are even more concerning. Sanford again scored well below the state average in use of antibiotics before surgery, use of the correct antibiotics, removal of the catheter after surgery, steps to prevent blood clots, the rate of urinary tract infections during ICU stays, and surgical site infections after colon surgery. Sanford’s score in physicians specially trained to care for ICU patients is 6 times lower than the state average. Sanford declined to report other measures relating to nurse staffing and care, as well as use of standard safety procedures. Sanford-Bemidji Medical Center is below state averages in all areas of consumer assessments. This includes whether a patient would recommend the hospital, whether staff gave patients information, whether the room was clean and quiet at night, whether pain was well controlled, whether staff explained procedures, whether they understood their care when they left their hospital, and whether doctors and nurses communicated well. Notably, Sanford scored 23% lower than the state average on whether “patients always received help as soon as they wanted.” These assessment scores indicate poor nurse staffing. Consumer reports rates Sanford 33 out of 42 ranked hospitals in the state, and gives Sanford a 52 out of a possible 100 for its safety score. CR rates the hospital’s infection avoidance as “worst.” Consumer reports also gives the hospital below average scores for communication regarding hospital discharge and the worst score for communication about drug information. Both scores can be attributable to improper nurse staffing. Unlike 140 other Minnesota hospitals, Sanford Bemidji declined to report its quality data to the non-profit Minnesota Community Measurement. In 2014, United Hospital nurses reported 271 incidences of unsafe staffing with the potential to harm patient care. This may be a factor in the 13 preventable adverse events suffered by United patients in the past year, 6 of which led to serious disability. United Hospital grades out at a “B” for patient safety and quality, according to the Leapfrog Group. United is well below the national average in measures of care including serious breathing problems, death from treatable complications, use of antibiotics before surgery, blood or urinary infections during ICU stays, and dangerous objects left in a patient’s body. United declined to report data which measures appropriate staffing. Patients at United report that they received help when needed at a rate lower than the state average, a typical function of sub-optimal nurse staffing. United also scored lower than state and national averages in indicators such as nurse and physician communication, pain management, appropriate explanation of medications, cleanliness of rooms and bathrooms, quiet zones at night, and overall hospital score. United Hospital ranked 28 out of 42 hospitals in Consumer Report’s MN hospital rankings. It received a 55 out of 100 for a safety score, and scored poorly in avoiding infections, avoiding death, and communication about hospital discharge. All are issues which can be attributable to improper nurse staffing. Because Minnesota’s hospitals are becoming less safe, because they refuse to cooperate with the legislature, the Minnesota Department of Health and the law, because they are cutting corners with nurse staffing, and because the quality of care they provide is getting worse, we need to enact a solution to the problem: a safe staffing law. Such a law would limit the number of patients a nurse can care for at one time, ensuring that each patient receives the nursing care she needs and deserves. As the evidence indicates, and as the hospitals evidently don’t want you to know, this will result in better quality care, better patient outcomes, lowered patient mortality, and fewer never events. In the long run, a limit on the number of patients a nurse can care for at one time will even save hospitals money; there will be lower readmission penalties and less non-reimbursed care for hospital-acquired infections. A safe staffing bill isn’t just the right thing to do—it’s the smart thing to do. Minnesota Nursing Shortage: Fact or Fiction? We’ve all heard the news about the “nursing crisis” or “nursing shortage,” but imagine my surprise when, after graduating fro m the University of Minnesota’s BSN program about 10 years ago, my classmates and I had a difficult time finding jobs. In fact, many of my peers were eventually forced to take on travel nursing assignments. Several are still in California, Missouri, and even Hawaii. We here at MNA take claims of a nursing shortage very seriously. One of our priorities is to advocate for the profession. But, after digging into the numbers, we were surprised by what we found. There is no nursing shortage in Minnesota. Not even close. According to the Department of Employment and Economic Development, Minnesota will add 850 RN jobs over the next year. In addition, 931 RNs will leave the profession for various reasons, leaving a total of 1,781 RN jobs that will need to be filled. What we’re experiencing is a combination of factors that artificially reduces the availability of nurses and leads to the perception of a nursing shortage when one doesn’t really exist. Employers are turning away two-thirds of nursing graduates because they are not baccalaureate-prepared. Hospitals require nurses to have experience in order to be considered for employment. That raises the age-old conundrum: how can you get experience when no one will hire you? Having almost 1,800 RN openings may seem daunting until this fact is compared to the number of new licensees: Minnesota licensed 6,267 new registered nurses just last year. That’s more than three RNs for every new job opening. Even if we included just RN graduates from Minnesota nursing schools rather than nurse transfers to the state, that’s still almost two RNs for every new job opening. Over the next ten years, DEED projects Minnesota will add 9,477 RN jobs; and 10,850 more RNs are expected to leave the profession. Therefore, Minnesota will need 20,330 new RNs through the year 2025. Assuming no increase or decrease in the number of students sitting for the NCLEX-RN in Minnesota, we will add three times as many nurses as there will be job openings. However, the number of licensed applicants will surely increase, as it has doubled over the past five years. 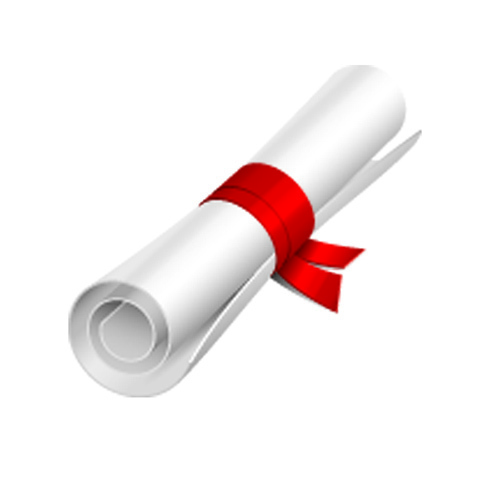 Employers who hire on the basis of academic degree (i.e. BSN only) limit their potential pool of applicants to about half of those qualified on the basis of their licenses (i.e. RN), and don’t help nurses further their education once they are hired. Rural facilities often offer lower salaries and benefits, and thus may have a more difficult time attracting applicants. Of 1,699 current RN job vacancies, 53 percent are part time. While many may desire this option, most nurses seek the pay and/or benefits associated with full-time work. Of current job vacancies, 65 percent require more than one year of experience. Again, this severely restricts the potential pool of applicants and belies a lack of investment in training and the future of a facility’s nursing staff. The average median wage for Minnesota RNs is $33.92/hr. However, despite requiring more than a year of experience, the current median offer for RN wages is laughably lower: $26.90. 56 percent of nurses surveyed by MNA have considered leaving their units because of concern for patient safety/lack of breaks. 68 percent believe their unit is understaffed once or more a month. According to the research, facilities with unfavorable staffing levels have higher turnover, higher burnout, more difficulty in attracting new RNs, and worse patient outcomes. Nursing continues to be a profession that requires a high level of physical stamina. Nurses experience a disproportionate number of injuries – including cumulative injury from micro-tears that may prematurely end a nurse’s career. Regrettably, there is an overreliance on using nurses to move patients and a systemic lack of focus on using equipment (coupled with pressure to do more with less – and more quickly). As we all know, hospitals often choose to simply not fill open positions. This is evidenced by the fact that there are more than three RNs available for every open position in the state. In early August, Minnesota registered nurse Andy Gladstein had just completed his third week of an online RN to MSN program via Grand Canyon State University in Arizona. Andy had entered the program to further his education in response to national calls for increased nurse education, and he was excited about his progress. Much to his surprise, Andy was suddenly and without warning disenrolled by his university due to the Minnesota Board of Nursing’s old-fashioned views of online education. Because of the Board’s outdated views, Andy’s university was no longer willing to offer its courses to students located in Minnesota. This is not because Minnesota would not recognize his degree, but rather because the Board is treating online education differently than traditional nursing education. Specifically, the MN BoN has adopted a policy requiring online nurse educators accredited and located in other states to obtain their Minnesota nursing licenses before teaching students who may happen to be located in Minnesota. 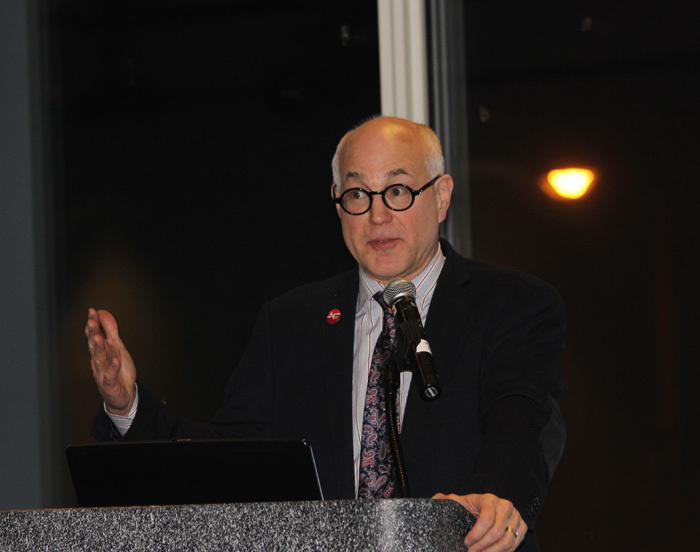 This is in direct contrast to the Board’s view of traditional out-of-state nursing programs, which are required only to be licensed and accredited by their home states in order to train prospective Minnesota residents. The Board’s out-of-touch views are a large barrier to the educational progress of Minnesota nurses and to a field of education that is only growing larger. The Board’s views, taken to an extreme, result in some absurd scenarios. For example, Andy could have simply driven across the border to Wisconsin to take his courses. The BoN would then have recognized his education as legitimate. Andy could have taken his courses in person in Arizona. The Board would have also then recognized the education as legitimate. In fact, Andy could have taken his courses in any state in the country, and the Minnesota Board would have recognized his education as legitimate; but in the Board’s view, for Andy to take his courses in Minnesota would have been to place his instructors at risk of practicing nursing “in” Minnesota without a license. The Board’s out-of-touch view begs the question: what about a student enrolled in the traditional RN program at the University of Wisconsin-Eau Claire? If that student were to bring his/her coursework home to Minnesota for the weekend, or view an online lecture in Minnesota while driving through, or email his/her professor a nursing-related question while visiting this state, would that professor be liable for practicing nursing in Minnesota without a license? Using the Board’s logic, the answer would be yes. The BoN fails to understand the distinction between where teaching occurs and where learning occurs: teaching occurs where the instructor is located, and learning occurs where the student is located. To interpret otherwise leads to unreasonable situations such as those faced by Andy Gladstein and others, and draws a distinction between online and traditional education that has no basis in reality. The Board’s views are not in the best interest of students, nurses, patients, citizens, or the state of Minnesota. The Board can and should change its interpretation of where online teaching occurs in order to protect the best interest of Minnesotans. 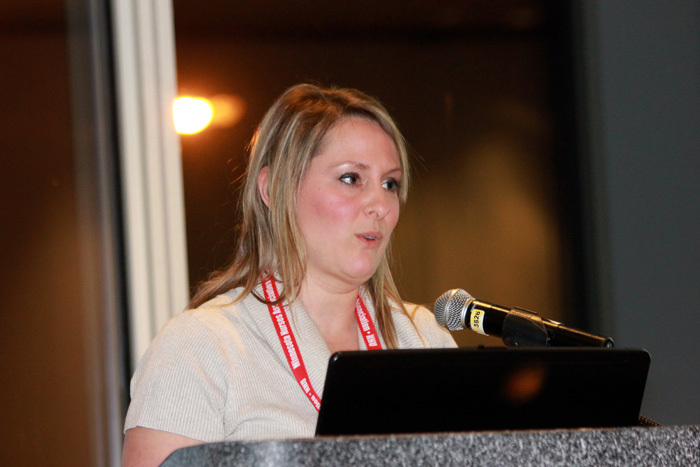 As an advocate for enabling nurses to achieve higher education through all available avenues, MNA recognizes that teaching occurs where the instructor is located, and learning occurs where the student is located. We recommend that the BoN adopt a similar view. Please contact Senators Klobuchar and Franken today – and ask them to vote against the Consolidated and Further Continuing Appropriations Act (CROmnibus) bill unless unacceptable provisions are removed. The bill, which narrowly passed the House this week, is up for a vote in the Senate this weekend. According to National Nurses United, the measure contains new handouts for Wall Street, wealthy political donors, and attacks the living standards of pensioners. MNA members can compose and send messages directly to the senators from the online Action Center. Nurses braved the cold to inform the public they are fighting for a fair contract that protects patients and nurses alike. RNs at Cambridge Medical Center made final preparations for their Nov. 20 informational picketing on Tuesday night. MNA Cambridge members and their families turned out in force to make signs and other preparations for Thursday’s picketing. The RNs say they are frustrated with the hospital’s emphasis on profit over patient care and staff. RNs are very concerned about the hospital’s proposals during the current contract negotiations, and recent staff layoffs. Community members are solidly behind nurses. “I support our nurses” signs are in yards and businesses throughout Cambridge, and community residents will join the RNs on the picket line on Thursday. Picketing is 2-6 p.m. on the public sidewalks around the hospital. A candlelight vigil starts at 5 p.m.
Nurses and other healthcare workers urged the state to live up to its responsibility to protect front-line healthcare workers dealing with Ebola and other infectious diseases at a Nov. 12 rally and candlelight vigil on the front lawn of the State Capitol. Nurses and other healthcare workers spoke about their experiences and concerns about their hospitals’ different levels of preparedness for caring for patients who may have infectious diseases like Ebola. McGibbon called on nurses who believe their hospitals are not prepared to file complaints with Minnesota OSHA. “You have a right to file and complaint and ask them to come to your hospital to see if the equipment and preparedness plan meet federal and state law. The rally and candlelight vigil were part of the National Day of Ebola Preparedness, when thousands of nurses and other healthcare workers across the country are holding public events to demand optimal protective equipment, training, and staffing to make sure healthcare workers are safe as they care for their patients. View a video from the event here. 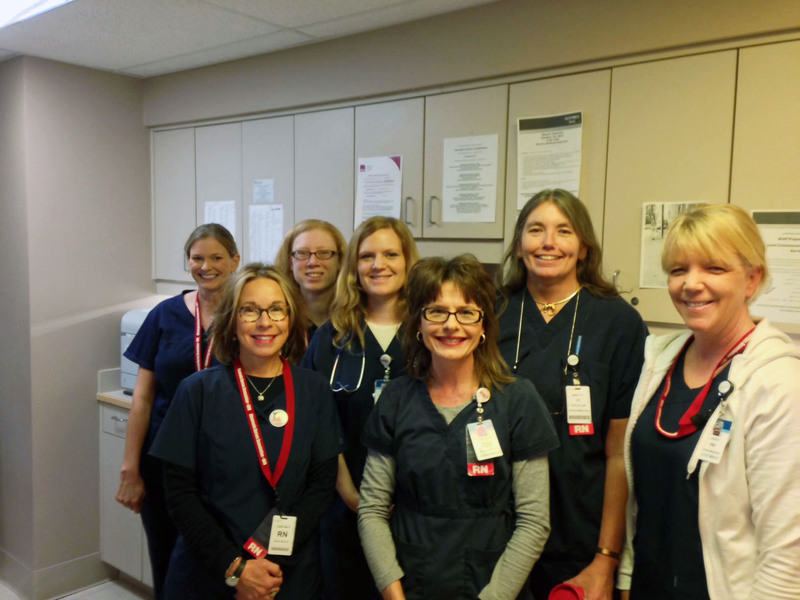 Nurses at Sanford Bemidji Clinic are now part of the Minnesota Nurses Association, after a five-month campaign to be part of the union. The nurses knew the value of belonging to a union, and campaigned hard for representation. They wore “Union Now” stickers and marched a petition to management to show they were standing strong for union representation and a voice in the workplace. 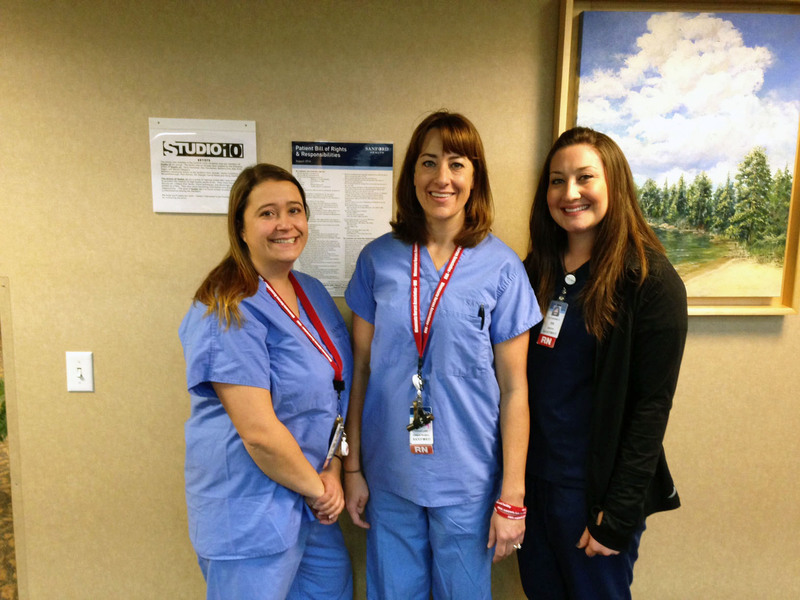 Nurses at the Sanford Bemidji Medical Center, who are already MNA members, circulated petitions expressing their support of clinic nurses becoming part of their bargaining unit. Westover said the move guarantees that good patient care at the clinic will continue. The new bargaining unit has been accreted into the hospital nurses’ contract and will now negotiate a separate wages-and-hours package with Sanford. When the contract expires in 2017, the hospital and clinic nurses will all bargain together as one strong unit.